Eight months ago, Homebuilt set out to do something at once radical and unnoticeable. Inspired by the successes of Larry Sass’s digitally fabricated buildings, including the Digitally Fabricated House for New Orleans (MoMA NYC 2008); Robert Bridges’s and Bill Young’s Shelter 2.0 ; Timberply (also by Young and Bridges); and the Wikihouse project, we aimed to springboard from the proven ability to make buildings out of CNC cut parts, to bring this technology into the realm of a code-compliant building system. Here’s a look at some of its pieces and parts…. Homebuilt’s easy-to-assemble construction. If you can lift 23 lbs., you can build your own house. 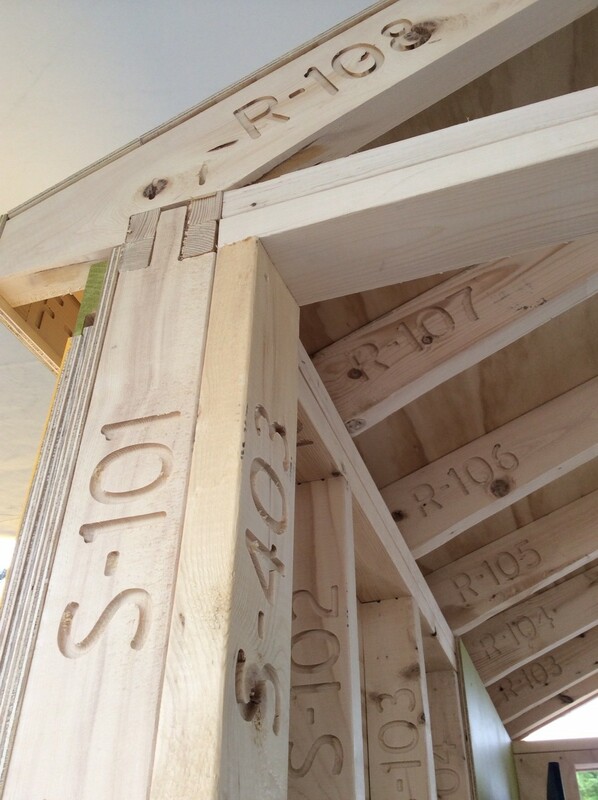 Our successes to date have been very exciting, not only in the technical ability to use Shopbot’s CNC tools to facilitate some of the most challenging and expensive aspects of stud-framed and wood-finished construction, but also for this technology’s ability to integrate seamlessly into the existing homebuilding industry while simultaneously offering an alternative business model to innovate within it. 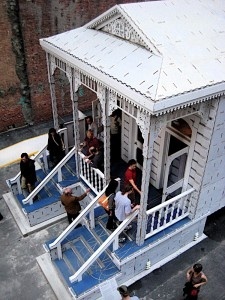 This history of technological advances in homebuilding, as for example highlighted in the Museum of Modern Art’s 2008 mega-exhibit “Home Delivery: Fabricating the Modern Dwelling” in New York City, has been one of false starts and unfulfilled promises. Whether they involved advanced materials, new production processes, or new ways of “delivering” a house, almost nothing substantial has changed since the first use of dimensional lumber studs in 1830’s Chicago. What I feel has been missing from the, albeit technologically laudable, innovations from 1850 onwards has been a deep recognition that homebuilding is a fervently local endeavor. As such, it is difficult for any process not immediately and easily repeatable anywhere in the US to gain traction against the tidal flow of cross-continental standardization within this very mature industry, with its established, slow-moving supply chain. Whether for the philosophical or architectural desire to work with the genius loci (“spirit of the place”), the ecological importance of minimized transportation costs, the economic benefits to local business, or simply the market demand to “know your builder,” attempts to industrialize housing have either failed or failed to integrate within the mainstream building industry. However, centralized, non-local industrialization is not the end-all and be-all of technological advancement, or even of off-site building production, both of which can operate on a local level. Indeed, what is most incredible about Shopbot itself is its having yanked one of the most important tools of modern manufacturing – computer controlled fabrication – out of centralized factories and into the realm of local fabrication. Whereas previously only the most highly capitalized – and therefore centralized – fabrication outfits could afford a CNC behemoth, Shopbot’s tools are able to be housed, well, in almost anyone’s garage. What this has meant and will mean for the small-to-medium scale wood and metal-working industries cannot be understated. Many of us take for granted that a custom sign or beautiful cabinetry can be shipped from someone in our own state at little more cost than the off-the-shelf Made in Who-Knows-Where variety. Technology like Shopbot’s CNC tools may indeed not only create the possibility for a more localized model of manufacturing, but as a result help save American manufacturing in general. It would be too lengthy to get into why this is so important, but in the specific case of homebuilding, in light of its inherent local-ness, such “localizeable” technology is fundamental to any attempt for real innovation of American homes. 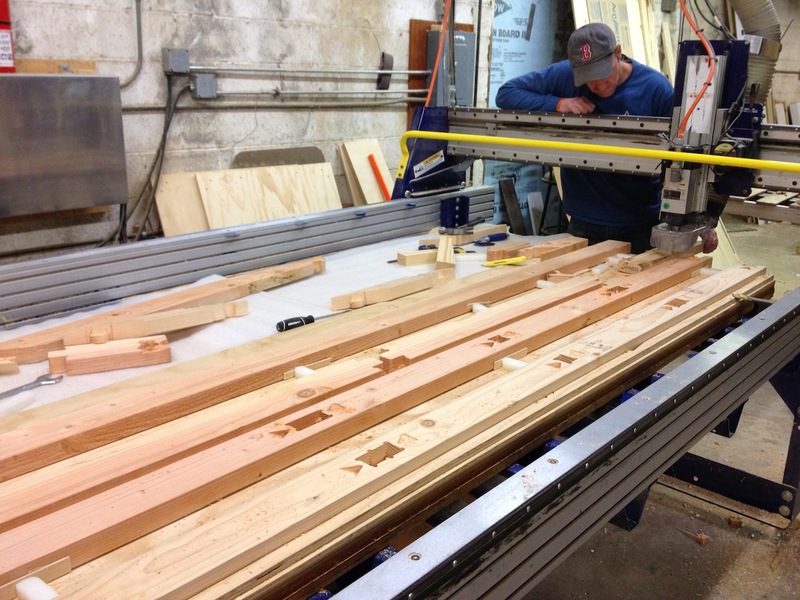 If properly designed, the pre-fabricated component of a digitally-fabricated house can be completed by anyone with a Shopbot or similar CNC router. This can be in a local millwork shop, someone’s garage, or even on-site, as conceptualized by Larry Sass’ YourHouse, and made possible by tools such as ShopBot’s Handibot® Smart Tool. This is because, unlike other forms of automation, CNC digital fabrication uses standard formats and well-established, open methods, file types, and tools. 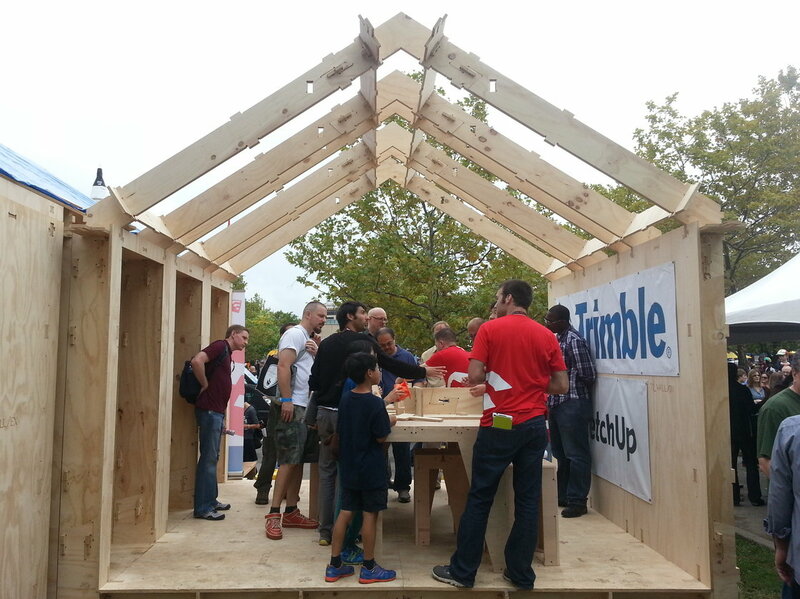 If you have a Shopbot, regardless of its size or age, you can start making digitally-fabricated houses. What does this mean for a company like Homebuilt? 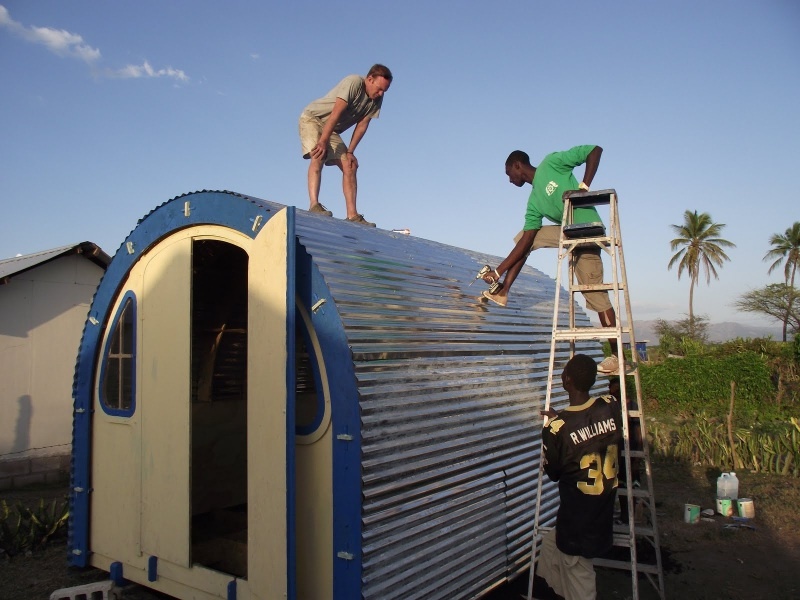 We have designed a building system, and with the help of Shopbot a series of tools, that enables us to work with local fabricators to build local houses. It means that Homebuilt doesn’t need a huge, centralized factory, or the associated costs thereof. Neither do customers need to pay for shipping from that centralized factory. Homebuilt is instead able remain lean and nimble, collaborating with local, equally nimble fabricators to modernize the way we think about housing production. All the while, the efficiency of the tools as well as the distributed manufacturing model enable equitable sharing of profits, not only between Homebuilt and local, distributed fabricators, but also with the buyer, for whom efficiency of production leads to lower prices. We believe that the Homebuilt concept – the reduction in the cost of housing through localized, distributed manufacturing – is truly innovative, even if we are still using 2x4s, 16” OC, and no one will even notice the difference.